A crown is a type of dental restoration used to fix teeth that have been broken, weakened by decay or have a very large filling. The crown fits over the remaining part of a prepared tooth, making it strong and giving it the shape of a natural tooth. It can also be tooth coloured (if appropriate on NHS), giving the restoration a more natural appearance so it fits in with the rest of your teeth. A crown could be a good solution for you if you have some discoloured fillings and would like to improve their appearance. Crowns can be used to replace these to give you a more aesthetic smile. 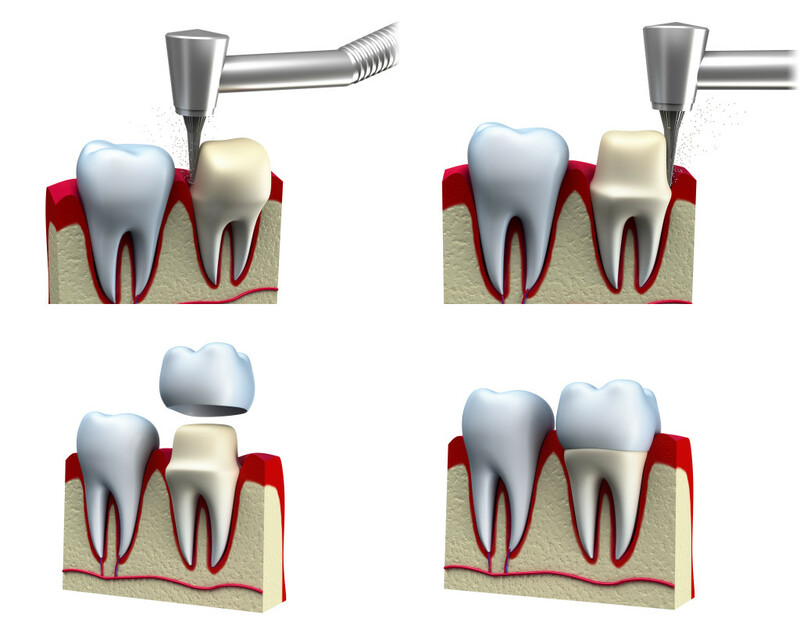 Also, if you have had root canal treatment you will need a crown to protect or cap the restored tooth, allowing you to eat and bite down on it as if it was a real tooth. Crowns are also used to anchor a bridge or denture firmly in place in the mouth.